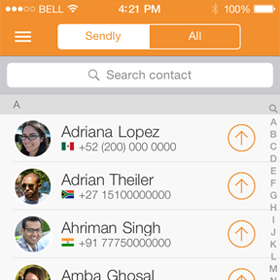 Sendly automatically shows the names of the people that can receive prepaid credit. Most transfers only take a few seconds to go through. We will also send a receipt to your email. Great app. I can top up my parents’ prepaid numbers in India in a jiffy. You get to choose your contacts from your contact list. I’m also glad that the app allows you to pay for the top up through PayPal. Been using this app to top up my family’s airtime minutes back home in Cameroon and it works every time within minutes like a charm. Highly recommended! This is a very nice app with some great offers, I would like them to provide 75% off offer once again. Got a question? Contact our support team. 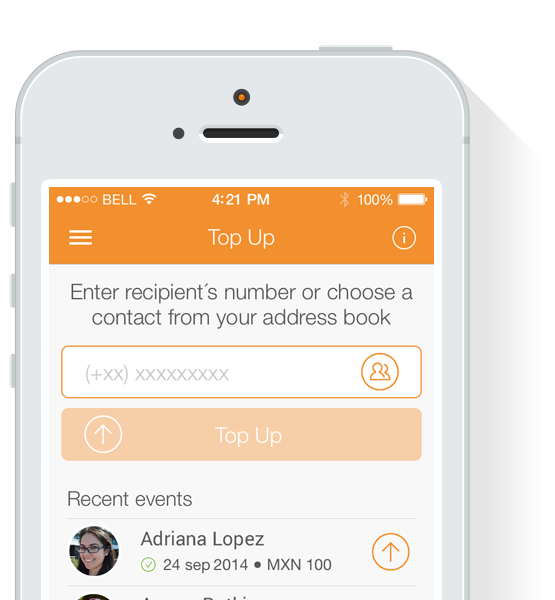 Sendly allows you to quickly and easily top up the prepaid mobile phones of friends and family abroad. Your loved ones can then make calls, send texts or use these credits as they choose. 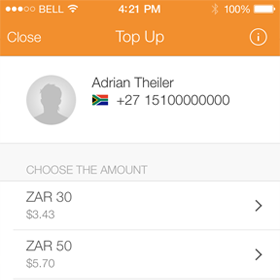 Sendly is an app developed by Prepaid Union, one of the world’s most popular international topup providers. Sendly offers multiple payment methods to complete your transaction that are safe and easy to use. Why can’t I top up my friend’s phone? Sendly supports over 124 countries and 300 operators worldwide and we keep adding to that list. If your friend does not have the Top Up icon next to their number, it’s because we don’t support their country or operator yet. Why did my top up fail? We do not support your friend’s country or operator at this time. The phone number is incorrect. Please check the number and try again. Check your credit card information or contact your bank for more details. For any questions, please contact us at support@sendly.com. I used Sendly before, why is my account not working? Due to the transition from Sendly to Prepaid Union as the new owner, the Sendly App has been completely redeveloped and placed within the Prepaid Union infrastructure. That’s why previous accounts belonging to Rebtel (the original owner) are no longer valid for use in the new app. However, you can easily register for a new Sendly account, this will only take a few seconds. 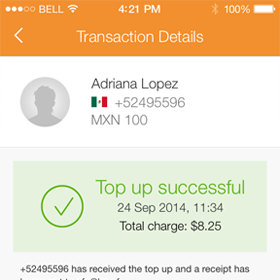 After that you can start using our newly added features and send credit to even more countries! Why do I have to register for a new account? Not to worry, your old Rebtel account is still in good hands and can be used to access Rebtel’s services. Sendly is a Service of Prepaid Union: one of the most popular online top up service providers in the world. In 2008 we launched PrepaidUnion.com, a safe and easy to use web-portal to send credit to loved ones anywhere in the world. As one of the most successful businesses in online top up, we believe that our success is in the heart of our service and our vision to break down borders. So in 2016 Prepaid Union acquired Sendly with the goal of expanding and improving our services even further. With the launch of the new app we immediately extended the the service with 4 new european payment methods and more than 40 new countries. And we don’t plan to stop there.. Excited about the new features? Download the Sendly App today and stay tuned for more exiting developments! Services provided by Prepaid Union B.V. These Terms and Conditions are the standard conditions for online sales as common in the market. These conditions have been established in consultation with Consumers’ Association in the context of the ‘Coördinatiegroep Zelfreguleringoverleg’ (CZ) of the Economic and Social Council, enforced as of January 1st 2010.